UNIQUE ACREAGE HOME IN WOODED SETTING. Concrete block home with rustic cabin feel. 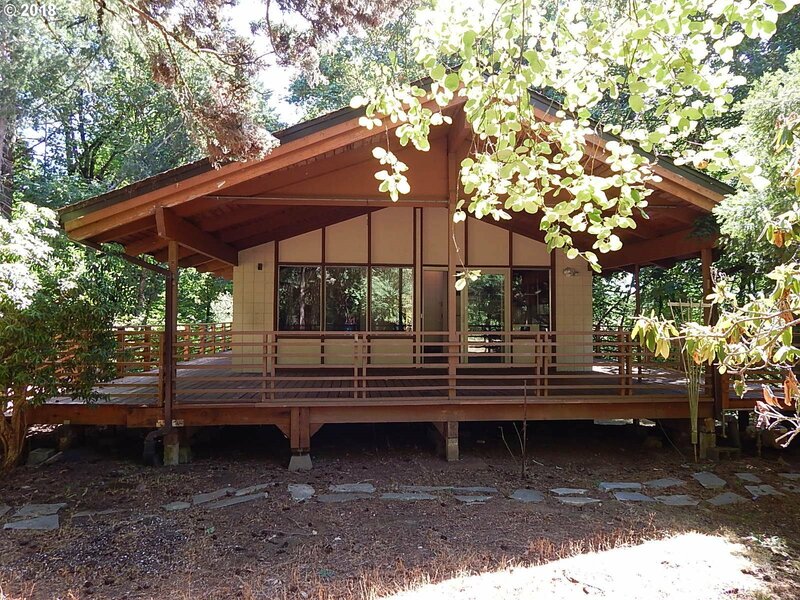 2BR/1BA on upper finished level w/vaulted, tongue'n'groove, wood beamed ceilings, & frplc. Bsmt w-wdstove has heating ducts installed, accessible via LR, or ext pedestrian door. 2nd Liv Qrts or add'l BRs? Wrap around decks, w/front covered deck to survey your private playground. Outbldg/shop. A charmer waiting for personal touches & cosmetic upgrades.